TIMES have really changed. When we were young, businesses closed down to observe the solemnity of Holy Week. They open again only on Easter Sunday. But there’s no such thing anymore. Some malls, supermarkets, even cinemas are now in operation even during Maundy Thursday and Good Friday. The ultimate goal of people is not to reflect and do introspection but to go away to some distant place for a grand vacation to unwind. If it happens that there’s a church to wherever they’re going, then they drop by and probably even say a prayer or two. 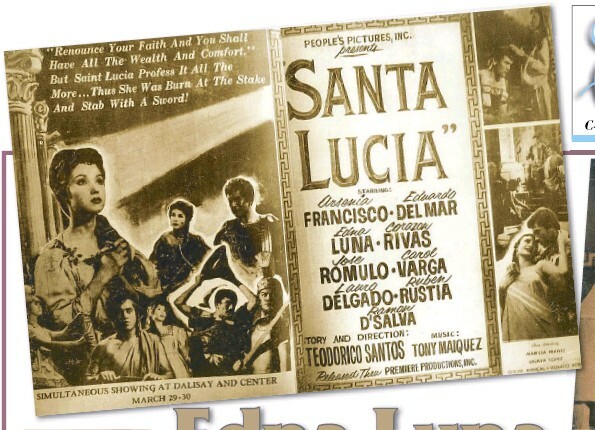 Local film companies in the 50s and 60s would come up then with special Lenten offerings for Holy Week, like “Kalbaryo ni Hesus” (1952) and the movies based on the lives of saints like “Santa Lucia” starring Edna Luna, “Santa Rita de Casia” with Rosemarie Gil, “Marcelino Pan y Vino” with Danilo Jurado. 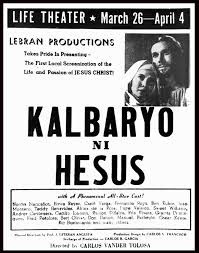 Other film companies came up with omnibus films like “Limang Misteryo ng Krus”, “Pitong Pagsisisi”, “Pitong Makasalanan”. “Breathe” - 2017. This was shown in SM but nobody noticed it. It’s the true story of Robin Cavendish (played by Andrew Garfield) who gets stricken with polio when he’s 28, just after marrying his wife, Diana (Claire Foy.) 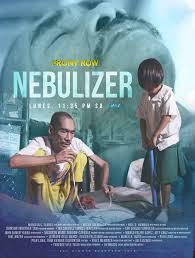 Paralyzed from the neck down and unable to breathe without a respirator, he’s given only a couple of months to live. He gets so depressed and won’t even see his wife and their newborn son, but his wife is persistent and brings him home, then personally takes care of him. What happens next amazes even those who predicted he wouldn’t last very long. 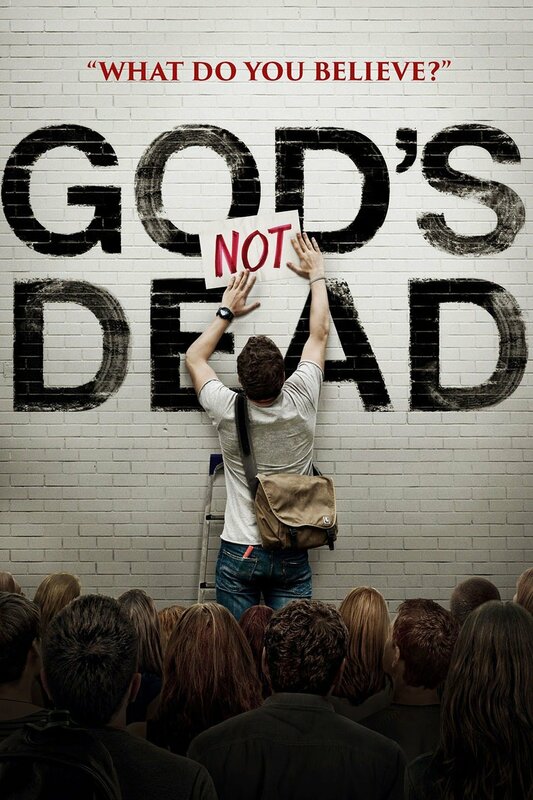 “God’s Not Dead” - 2014 - This is based on Rice Brooks’ boo, “God’s Not Dead: Evidence for God in an Age of Uncertainty”. It is a about college student (Shane Harper), a Christian, whose faith is challenged by his philosophy professor (Kevin Sorbo, who played Hercules) who thinks God is fiction and threatens to fail him. But he stands up to his professor even if it would jeopardize his academic future. Of course, it got negative reviews from film critics who are easily turned off by anything that sounds preaching for them. But it was so successful. Made for a budget of only $2 million, it grossed over $62 million and produced two sequels: “God’s Not Dead 2” and “God’s Not Dead: A Light in Darkness”. We’ve seen Part 2 and it’s also very good, but we haven’t seen the last one which was released last year. There are other faith-based films you can check out, like “The Shack” (2017), based on the book by William Young and starring Sam Worthington and Octavia Spencer; “Miracles from Heaven” (2016), about a sick girl who fell from a tree and has visions of heaven, with Jennifer Garner; “Heaven is for Real” (2014), starring Greg Kinnear as a man whose 4-year old son experiences during an emergency surgery; “First Reformed” (2018), inspired by the acclaimed French film “Diary of a Country Priest” starring Ethan Hawke as a small town pastor in upstate New York who is experiencing a personal crisis caused by tragedy, worldly concerns and a problematic past. 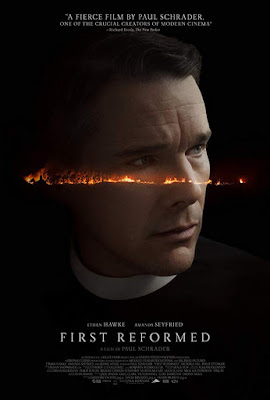 Happy watching and here’s praying you will all have a truly meaningful Holy Week that will help make a good person, a good Christian. DON'T MISS GMA-7'S MEANINGFUL LENTEN SPECIALS STARTING ON MAUNDY THURSDAY TO BLACK SATURDAY!!!! 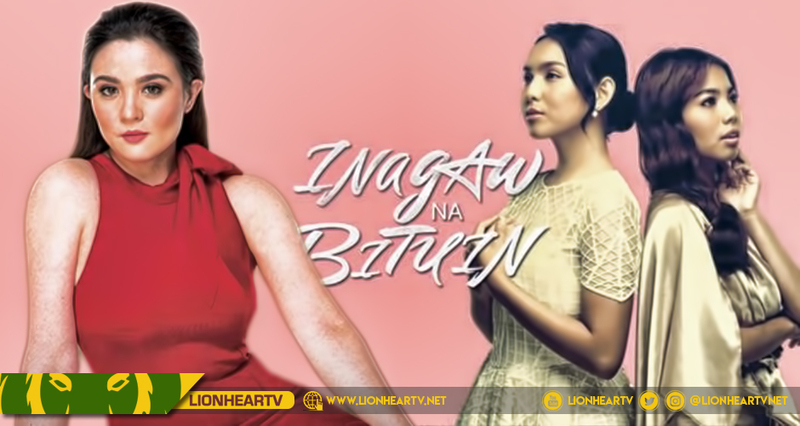 IN THE observance of the solemnity of Holy Week, GMA Network rolls out an inspiring and heart-warming Lenten programming schedule from Maundy Thursday, April 18 to Black Saturday, April 20. Sa Huwebes Santo, unang mapapanood ang pelikulang “Hotel Transylvania” sa ganap na ika-5 ng umaga at “Beauty and the Beast” pagsapit ng 6:30am. Magnilay-nilay at tuklasin ang Holy Land sa travel show na #MichaelAngelo Holy Week Reflections pagsapit ng alas-8 ng umaga. 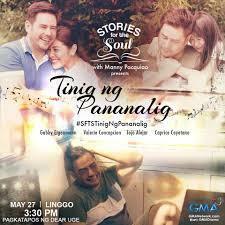 Isang mahalagang aral sa pagpapatawad ang masusubaybayan sa episode ng Stories For The Soul na pinamagatang “Kasama Mo ang Diyos” pagdating ng 3:45pm. 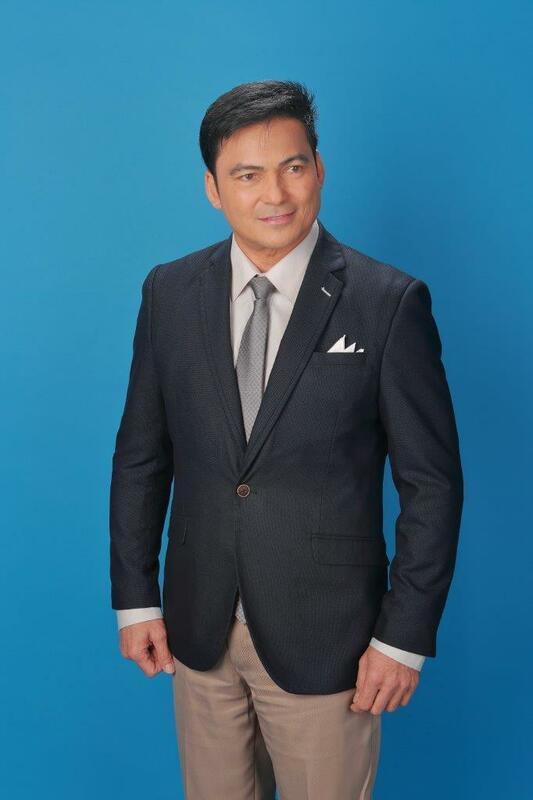 Hango sa kwento ni Joseph The Dreamer, pagbibidahan ng Kapuso actor na si Benjamin Alves ang kwento ng isang lalaking bata pa lamang ay marami nang naranasang paghihirap mula sa kanyang pamilya. 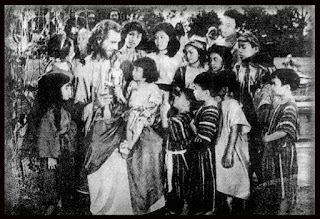 Samantala, mga natatanging kwento ng buhay ang dapat subaybayan sa #MichaelAngelo Holy Week Drama Specials pagsapit ng 4:30pm. Abangan ang replay ng unang dalawang linggo ng epic-drama series ng GMA na "Sahaya" starring Bianca Umali and Miguel Tanfelix pagsapit ng 7pm. Isinasalamin nito ang kwento ng mga Badjaw sa katauhan ng isang dalagang gagawin ang lahat upang maabot ang kanyang mga pangarap. Kaabang-abang din ang pelikulang “All of You” ng Ultimate Star na si Jennylyn Mercado at ng pinakabagong Kapusong si Derek Ramsay na ipapalabas sa ganap na ika-10 ng gabi, na susundan ng replay ng #MichaelAngelo Holy Week Drama Specials pagsapit ng 11:30pm. Sa Biyernes Santo (Abril 19), mag-eenjoy ang mga bata dahil ipapalabas ang “Barbie Video Game Here” sa ika-5 ng umaga. Susundan ito ng “Jesus” sa ganap na ika-6 ng umaga at ng “Women of the Bible,” pagpatak ng 7am. Tuluy-tuloy naman ang paglalakbay sa Holy Land sa #MichaelAngelo Holy Week Reflections pagdating ng 8:00am. Tiyak namang mapapamahal kayo sa animated fantasy adventure na “Up” pagsapit ng 9:00am. Handog din ng Kapuso Network ang programang magbibigay ng ispirituwal na inspirasyon na “Power to Unite” ni Ms. Elvira Yap-Go sa ika-11 ng umaga. 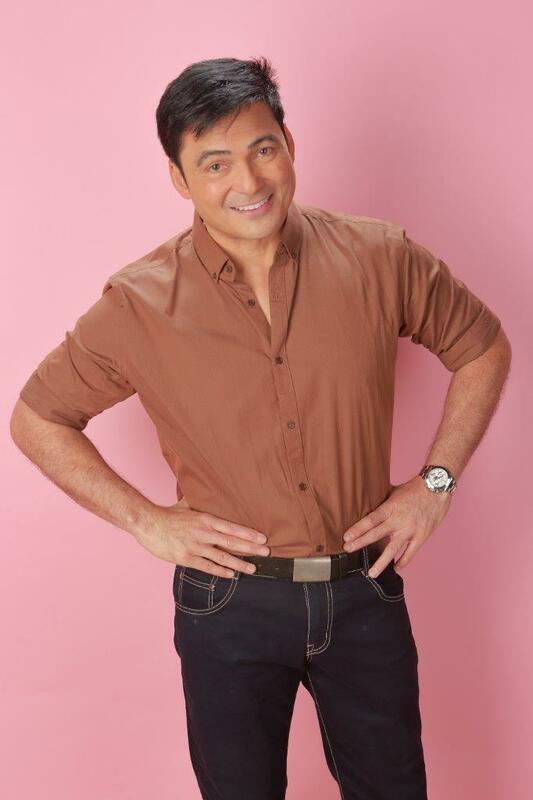 Hango sa kwento ni Job sa bibliya, hatid ng Stories for the Soul ang “Tinig Ng Pananalig” tampok sina Gabby Eigenmann at Valerie Concepcion. Ipapalabas ito pagsapit ng 3:45pm. Patuloy na panoorin ang #MichaelAngelo Holy Week Drama Specials sa ika-4:30 ng hapon. 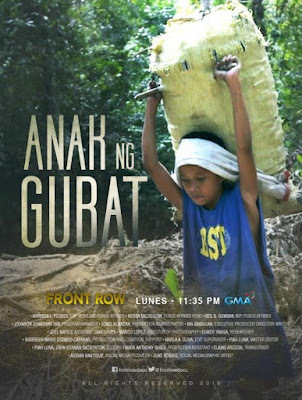 Pagsapit ng 5:30pm, isang kwento ng pag-asa ang matutunghayan sa episode ng Tanikala na pinamagatang 'Kublihan' mula sa CBN Asia. 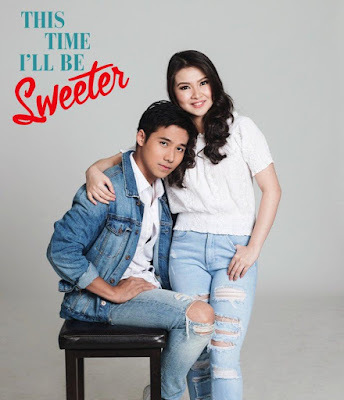 Abangan naman ang iba’t ibang pelikulang simula ika-7 ng gabi, simula sa “Our Mighty Yaya” ng Comedy Concert Queen na si Ai-Ai delas Alas; na susundan nina Barbie Forteza at Ken Chan sa “This Time I’ll be Sweeter” pagsapit ng 8:30pm; at “Meant to Beh” na pagbibidahan nina Bossing Vic Sotto at Dawn Zulueta sa ika-10 ng gabi. Susunod naman ang replay ng #MichaelAngelo Holy Week Drama Specials sa ika-11:30 ng gabi. 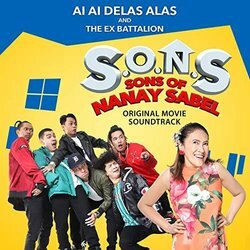 Back-to-back movies naman ang sasalubong sa inyo sa Sabado de Gloria (Abril 20) dahil mapapanood ang Hotel Transylvania 2 sa ika-5 ng umaga at Tarzan pagpatak ng 6:30am. Mapapanood din ang huling episode ng #MichaelAngelo Holy Week Reflections Holy Land sa ganap na ika-8 ng umaga. Makukumpleto ang inyong umaga sa animated movies na “Despicable Me 2” sa ganap na ika-9 ng umaga at “Minions,” pagsapit ng 10:30am. Pagsapit ng alas-12 ng tanghali, mapapanood ang “Superman Returns” at “Ben Hur,” 2:00pm. 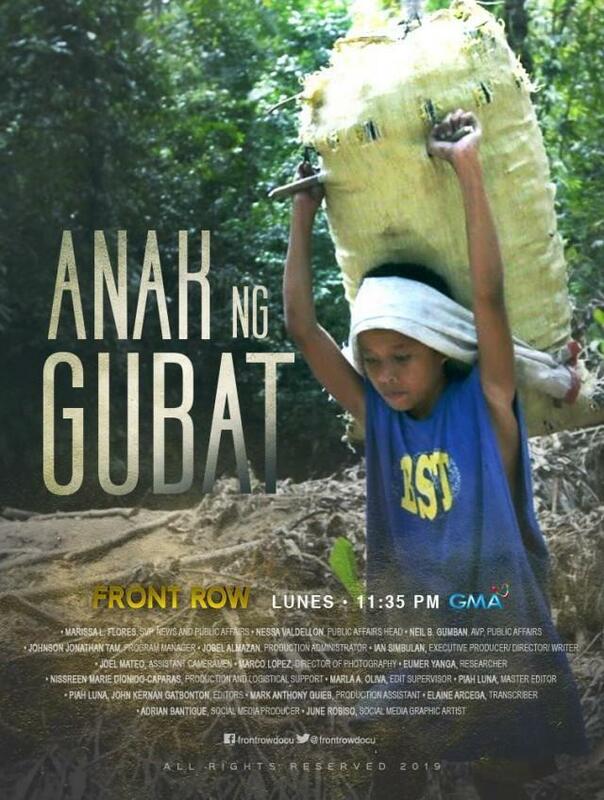 Sa ika-3:15 ng hapon, mapapanood ang GMA News TV’s Front Row documentary na pinamagatang “Anak ng Gubat.” Hatid nito ang kwento ng isang binatilyong nagtatrabaho bilang tagabuhat ng kopra at uling upang matustusan ang kanyang pag-aaral. 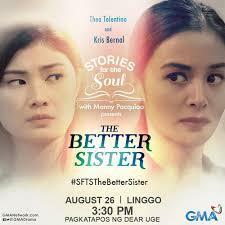 Samahan sina Kris Bernal at Thea Tolentino sa kanilang pagganap bilang magkapatid na may magkaibang hangarin sa buhay tulad nina Martha at Maria sa bibliya sa episode ng Stories for the Soul na “The Better Sister” pagsapit ng 3:45pm. 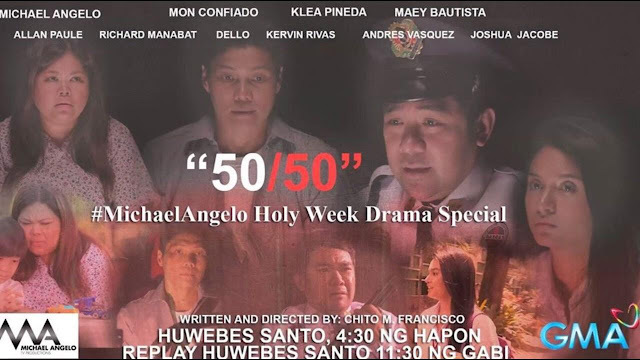 Huwag palampasin ang pagtatapos ng #MichaelAngelo Holy Week Drama Specials pagpatak ng 4:30 ng hapon. 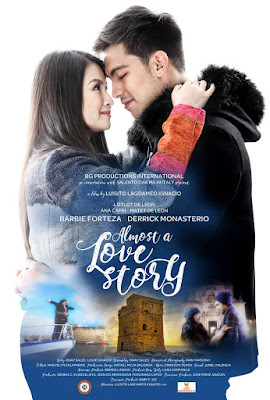 Bibida naman sina Barbie Forteza at Derrick Monasterio sa romantic movie na “Almost A Love Story,” 5:30pm na susundan ng “The Journey“, ang Lenten special ng APT Entertainment na pinangungunahan ng multitalented Kapuso actor na si Alden Richards sa ika-7 ng gabi. 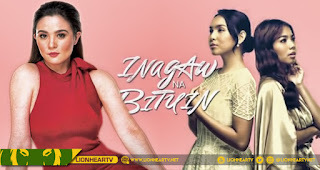 Siguradong maaaliw ang Kapuso viewers sa “Enteng Kabisote 10 & The Abangers,” pagsapit ng 9:00pm; at “Imagine You and Me” ng phenomenal loveteam nina Alden Richards at Maine Mendoza sa ganap na ika-10 ng gabi. 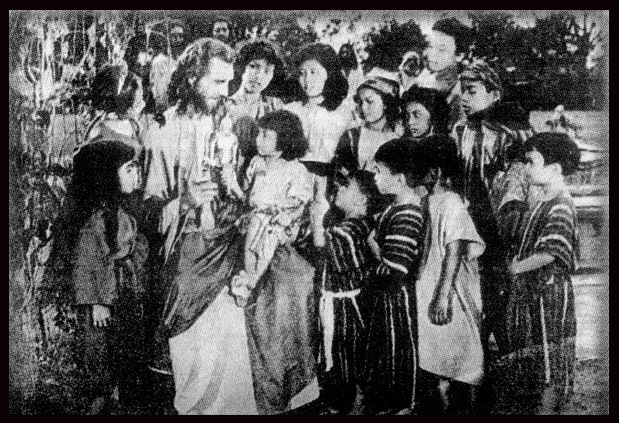 Pagdating ng ika-11:30 ng gabi, mapapanood ang #MichaelAngelo Holy Week Drama Specials replay; at panghuli ay ang Way of the Cross pagsapit ng 12:30am. Ngayong Semana Santa, iniimbitahan ang mga Kapuso na magnilay, magrelaks, at tunghayan ang espesyal na mga palabas mula Abril 18 hanggang Abril 20 na handog ng GMA-7. ‘SHAZAM’ is from DC Comics and it’s definitely much lighter than their dark treatments of Batman and Superman. Kids will surely enjoy it as it’s a wish fulfillment fantasy for children who dream of being a superhero. The storyline is reminiscent of the 1988 hit Tom Hanks film, “Big”, where they lead character, a boy, is tranformed into a fully grown up man and there’s a sequence here where they pay tribute to that sequence in “Big” with the piano on the floor. But here, the boy just doesn’t become a grown up but also given superpowers! The movie starts quite slowly. We meet Billy Baston (Asher Angel), but even before him, we’re also introduced to the origin story of the villain, Dr. Thaddeus Sivana (Mark Strong), who’s rejected in his desire to have superpowers. After this introductory portion, the movie gains a faster pace. Billy is an orphan boy who is desperately looking for his mother who abandoned him in a carnival. After defending his foster brother from school bullies, he is chosen by the Wizard Shazam (Djimon Housou) to inherit six mystical powers: the wisdom of Solomon, the power of Zeus, the strength of Hercules, the stamina of Atlas, the courage of Achilles and the speed of Mercury, a combination of Greek and Roman gods. 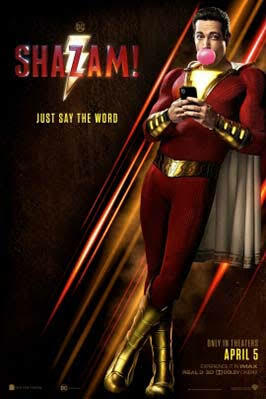 All he has to do is say “Shazam!” and he becomes the buff superhero played by Zachary Levi, best known for the hit TV series “Chuck”. Without his knowing it, he also inherits the money-making power of Marvel Comics at the box office, as “Shazam” is now number 1 in the U.S. box office for two straight weeks. The sequences showing Billy trying to figure out how to use his superpowers, with the help of his smart alecky foster brother Freddy (Jack Dylan Grazer), are very entertaining. Freddy puts Billy through a series of super hero test to see if he could fly, or become invisible? Is he bullet proofed? They find out the answer when they get involved in a convenience story robbery. Freddy records all these experiments on his cellphone. Shazam has difficulty doing flying and using his laser eyes. Because he’s basically still a boy at heart, he’s not really that vent on fighting crime and evil guys, and he finds more thrill in recharging the cellphones of people around him and taking selfies of himself doing astonishing acts. There are several names given to him, like Mr. Philadelphia. Thunder Crack, and Sparkle Fingers, but they all don’t click with him. He eventually becomes the superhero expected of him when he faces the demon-posessed Dr. Sivana, who wants to monopolize Shazam’s powers for himself and whose allies are ugly monsters representing the seven deadly sins. The encounters between them take place on the streets and in the skies of Philadelphia. Billy’s heroic stunts include preventing disasters that he himself caused by accident, like a bus filled with passengers that nearly falls down from an elevated highway. His exploits are made famous by social media. All in all,the movie is a lot of fun as the element of comedy really works more than we expected. This is quite something since a lot of supposed comedies we see these days are really devoid of laughter and fall flat on their faces. The movie is directed by David Sandberg (“Lights Out”, “Annabelle: Creation”) who gets the goofy tone right with one-liners and sight gags that work. And he certainly knows how to properly balance the action, the humorous and the fantasy sequences. 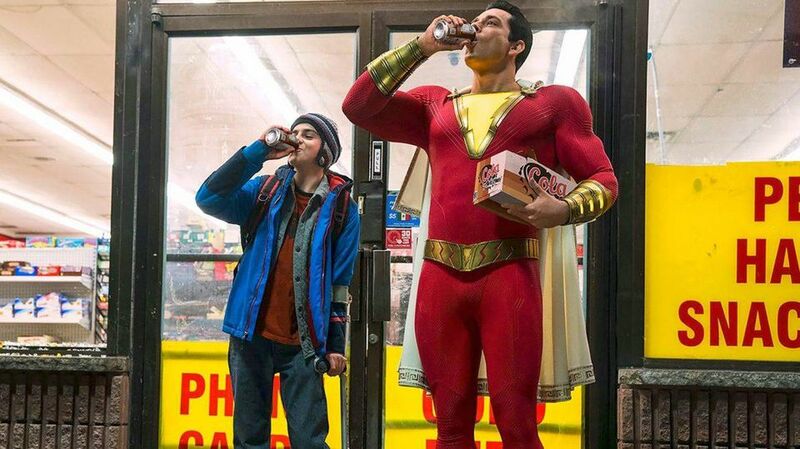 We honestly find “Shazam” more entertaining than “Aquaman” or “Captain Marvel”. In the end, there’s even a disarming sweet Disney message about the importance of having a family, even if they’re foster and not biological, that you can count on to support you all the time. And yes, all of Billy’s foster siblings (they’re multiracial as there’s a black and an Asian) get the chance to become superheroes like him. So you can be sure there will be a sequel with all of them doing ‘we’re all in this together’, especially after the end credits preview shows that Dr. Sivana is still alive and finds a new evil ally while he’s in prison. Zachary Levi is highly entertaining as Shazam, who can be childlike and sometimes even comically crude like when he uses his powers to get money from an ATM machine, buy beer and even get into a girlie bar. Also very effective is Mark Strong as the villainous Dr. Sivana (he’s also good in a similar role in “Sherlock Holmes” with Robert Downey Jr.) with a bright blue eye that is the source of his evil powers. Asher Angel is also the best choice as Billy. He really looks like a good boy and the scene where he finally locates the mom he’s been looking for will surely melt your heart. Those who’ve been to Philadelphia will also get a kick from the way CGI artists demolish the city’s iconic William Penn statue and its landmark LOVE sculpture. JASMINE CURTIS SMITH is ecstatic over the glowing reviews she received for her short but sweet appearance in “Sahaya” in its first two weeks. Everyone says she completely disappeared in the role of Manisan, a young Badjaw maiden impregnated by a city boy and oppressed by her mother in law. Even her older sister, Anne Curtis, praised her and urged GMA to give a lead role next time. What’s her reaction to this? 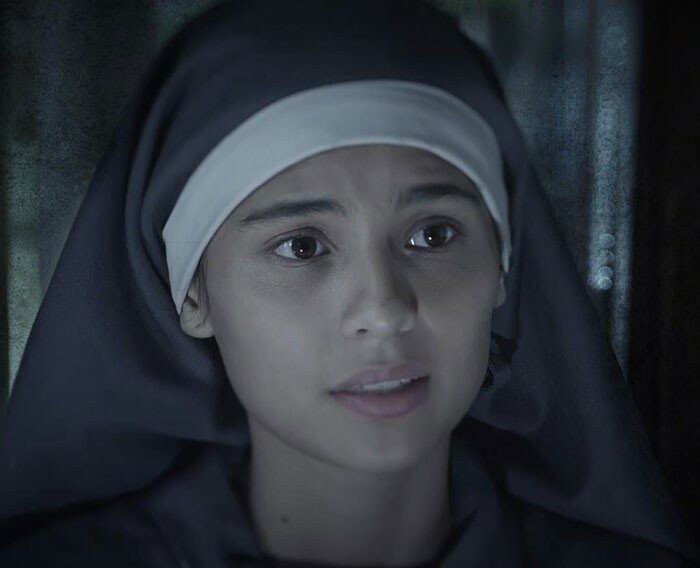 She’s glad to star in a new film, “Maledicto”, a horror movie, and it so happened she’s also doing two other horror flicks. We tell her she’s now the new Horror Queen. “Ay, ayoko ng ganyang title, ayokong ma-identify lang sa iisang genre,” she laughs. “Nataon lang, sunod-sunod nga ang horror na ginagawa ko. 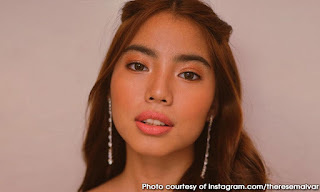 THERESE MALVAR is now one of the most hated villains on television for her portrayal of Ariela in “Inagaw na Bituin”. How does she react to all the bashing she’s getting for being so mean and bitchy to Kyline Alcantara and her sister, Melbelline Caluag, who has since died? 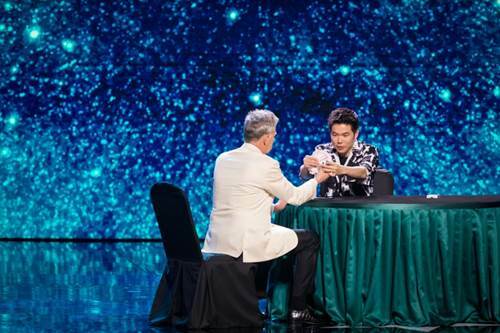 “ASIA’S GOT TALENT’ ended its 3rd season search with a Taiwanese magician, Eric Chien, as the big winner. His astonishing slight-of-hand tricks set him apart from other contestants, dazzling millions across Asia who voted for him. It is the first time a Taiwanese emerged as big winner since Asia’s Got Talent started its Season 1 in 2015. It was a tough competition in last week’s Grand Final show with eight other talented Grand Finalists – hip hop and street dance 16-member crew JUNIOR GOOD VIBES from the Philippines, Taiwanese dance crew MANIAC Family, the feminine yet strong hijab-clad girl group NAMA from Malaysia, contemporary acrobatic dance duo Power Duo from the Philippines, shadow play master Shadow Ace from the Philippines, powerful and groovy singer Siti Saniyah from Indonesia, human calculator Yaashwin Sarawanan from Malaysia and gravity-defying Cyr Wheel performer Yang Shih Hao who’s also from Taiwan. Eric Chien ultimately proved to be the crowd’s favorite and wins the grand prize of US$100,000. “Asia’s Got Talent Season 3 has seen a diversified display of talents, exceeding expectations of talent shows as well as geographical representation. We have also seen a new phenomenon where fans have risen above nationalistic feelings, and cast their votes for acts based on merits and appeal. All these have anchored Asia’s Got Talent as a valued platform for talented Asian acts. "I am grateful that these world-class performances have given AXN great content to deliver a high-quality production to delight and thrill our global audiences, and this has made AXN the #1 International channel during Asia’s Got Talent Season 3’s premiere timeslot collectively in Malaysia, Philippines, and Singapore*! Finally, I would like to congratulate Eric Chien on the well-deserved win, and a big thank you to the remaining eight finalists and judges David Foster, Anggun and Jay Park, for another amazing season of Asia’s Got Talent,” said Virginia Lim, Senior Vice President & General Manager, Networks and Distribution, Sony Pictures Television. Asia’s Got Talent is supported by regional sponsors Princess Cruises, the official cruise line of Asia’s Got Talent; Great Eastern, the market leader and a well-established trusted brand in Malaysia and Singapore; and GoDaddy, the world's largest cloud platform dedicated to small, independent ventures. VietJet is Asia’s Got Talent’s official airline. Marina Bay Sands, Asia’s leading business, leisure and entertainment destination, is the official destination partner of Asia’s Got Talent. Asia’s Got Talent is the 67th adaptation of the Guinness-World-Record-breaking hit “Got Talent” format, which was created by Simon Cowell’s Syco Entertainment and is co-produced by FremantleMedia. The “Got Talent” format is officially the most successful reality TV format in history and currently airs in 186 countries. When Sabel eventually gets rich after she marries a prince, she then tries her best to gather back all her kids and they all live together in one home, with hilarious and riotous results. Also in the movie is beauty queen Kylie Padilla as the lone leading lady and mutual object of affection of the Ex Battalion members. 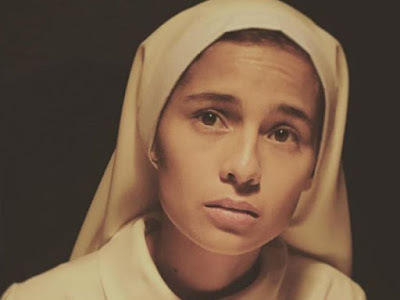 Supporting them are Jon Santos as Bona, the official Yaya of the group, and Sheree as Sister Mary, the nun who knows all the details as to who are the foster parents that adopted the kids of Nanay Sabel. 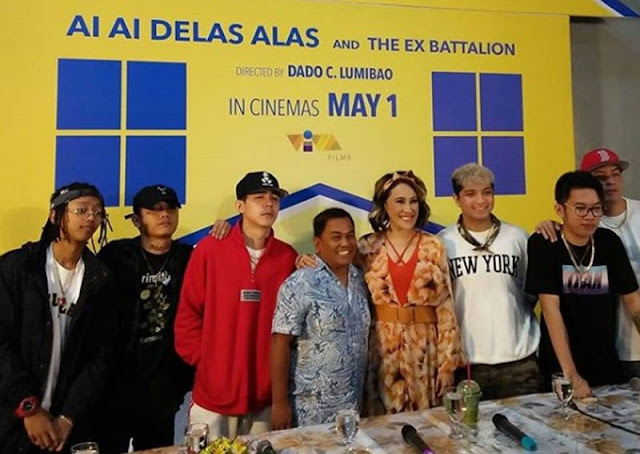 The film is also a musical and features new original songs by the Ex Battalion like “Sama-Sama”, “Huwag Siya”, and “Bagong Umaga” with Ai Ai herself joining them. Its original soundtrack will soon be available. The movie will open in theaters on May 1, Labor Day, as a pre-Mother’s Day presentation. 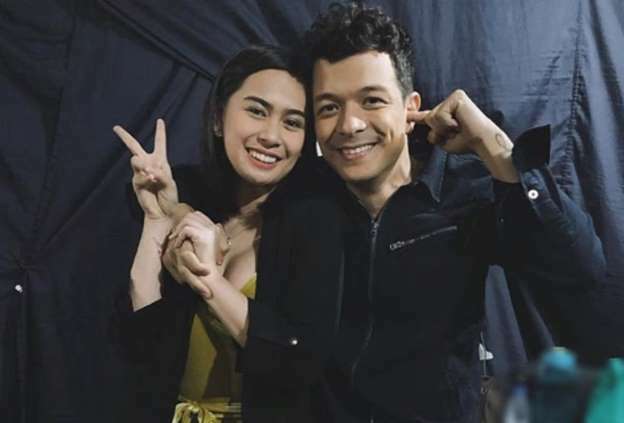 JENNYLYN MERCADO is happy to be back on primetime TV after the thriller, “The Cure”, which ended in July of last year yet. 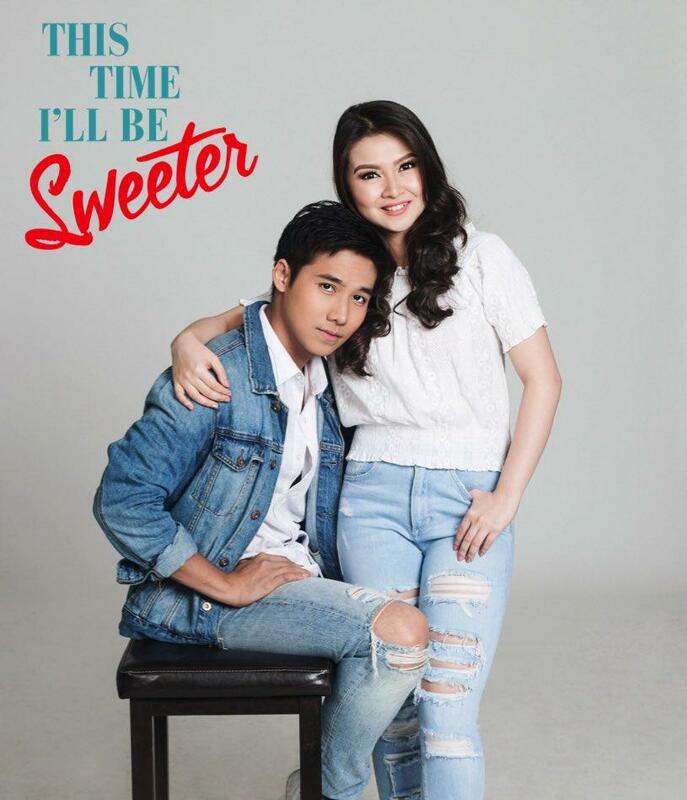 Her co-star in that show, Ken Chan, has since been quickly given “My Special Tatay” and it has also ended. It took almost 8 months before Jen is given a new show, “Love You Two”, which pairs her for the first time with Gabby Concepcion. How does she feel about it? 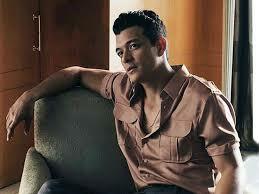 JERICHO ROSALES says “Halik” is his most successful show after “Pangako Sa’Yo” which he did 20 years ago. “Napakalakas talaga ng impact nito sa viewers kasi everywhere I go, they call me as Lino, my name in the show,” he says. “But after this, ayoko ng gumawa ng teleserye. To begin with, 'Halik' is such a tough act to follow. Also, I want to challenge myself to do something new kasi nag-iba na rin naman ang panahon ngayon. I’ve been doing soaps on TV for 23 years now, so I don’t wanna do soaps anymore. So is he and his wife, Kim Jones, not really yet to start their own family? “I’m so blessed to have a beautiful wife who actually has the same passions as mine. We’ve talked about it already. She’s going to study and I’m going to study. "She’s building a company, I’m rebuilding myself and her job is abroad. We’ve had the set-up for a very long time now, na if she wants to study, if I want to study for 3 or 5 months and magkikita kami somewhere kung saan mang parte ng mundo, we’re fine with that. "This is the reason why we don’t want to have kids muna. Because we feel that sa buhay namin, parang ang da­ming umaagaw ng mga gusto naming gawin sa buhay namin. Kaya parang bringing a baby into this world is not a good idea kasi kawawa ‘yung baby.